Based on studies, anxiety disorder is one the most common types of psychiatric disorders. It is found out that one in every four people had experienced an anxiety disorder in their lifetime. For some people its something they battle with, for others they don’t have an issue with it. 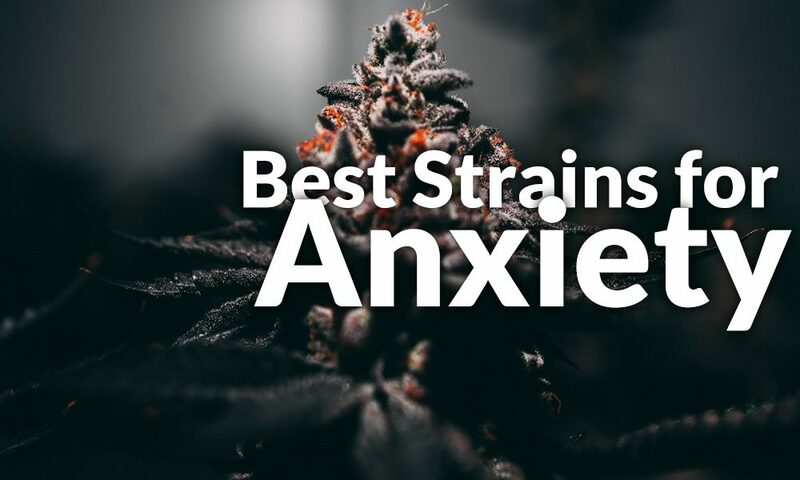 Below are some of the best marijuana strains for anxiety. It is believed that less than 50% of people that are affected by any mental health disorder ask for treatment, and that more women are affected by anxiety disorder as compared to men. Fears with anxiety are adaptive reactions in coping with threats to survival, but too much or persistent anxiety can cause societal dysfunction and can lead to serious disability. There are different categories of anxiety disorders, but all have the pretty much the same effects on people, and mostly are working on the same premise. There are commercial drugs that have been prescribed by doctors to treat different anxiety disorders but these usually come with a collection of undesired side effects. An alternative medication is marijuana. This has been being recognized by the medical community since a lot of people attest to its effectiveness in managing their mental conditions like anxiety. But you just can’t pick any marijuana you can see or you were told. There are so many strains and hybrids of marijuana out there. The first thing you need to do before choosing the right strain to fight your anxiety is to recognize your tolerance as well as sensitivity. Step two takes experimenting with other strains to check which one works better. It is still best to consult your doctor to get the right strain. Cannatonic – It has an amazing high-CBD strain. Both the THC and CBD carries anxiety-relieving components, but it is believed that CBD is the better of the two cannabinoids. Because if THC is consumed in very high doses, could actually start an anxiety in some people. The Cannatonic THC level is less than 6%, while its CBD level hovers around 6 to 17%. Cannatonic strain will definitely help you feel better and happy and relaxed less the buzz and a great for daytime use. Sour Tsunami – It is also a high-CBD strain. The CBD level is about 10%, and the THC level would range between from 6 to 7%. Sour Tsunami is a strain that is a strong stress-buster. This strain will calm your mind and creates a very clear-headed pleasant feeling. Sour Tsunami is can also help in fighting off depression. So for people suffering both from depression and anxiety it is recommended for you to try Sour Tsunami. One To One – It is a one of a kind strain because it has a perfect ratio of 1:1 of the CBD to THC. This is the reason it is an incredibly therapeutic strain. It is very special because regardless of the sum of the percentages of each cannabinoid. It always turns out to be equal. With this ratio of one to one, it can definitely produce a very light buzz without a significant psychoactive effect. Both your mind and body will be calm and relaxed, but still, have the right amount of energy so you can still go about with your daily activities. This is recommended for people who need a little push to finish a days’ work. Cinex – As some may have suggested doing away with sativa if you wanted to treat anxiety but Cinex is different and an exception to that. Cinex is mild sativa strain that could produce very happy but mellow and uplifting effects. This strain can give a very clear-headed and energizing feeling, and the good thing is that it is less strong than the other common sativas you can find. Cinex does not lead to paranoia; you would just find yourself giggling once in a while could that be worse? So for sativa fanatics out there and have anxiety too this strain if for you. The THC level could reach around 22%. Northern Lights – It is a strong indica. This is for people who find THC is the best for their anxiety, and then indicas are the best fit for you. Sativas could energize you and then get you a little more stimulated while indicas works like a strong sedative. This strain can calm you down quickly, so if you need it in any situation this would come in handy. If you are having trouble sleeping because of anxiety, taking this strain will give you a blissful and deep sleep. This strain has a THC level of around 18%. Everyone has a different reaction to marijuana. Some patients react better with anxiety using psychoactive THC while others would feel better with high-CBD strains. These 5 strains could give you a jump start to which one can be good for you. Sativa dominant strains are not ideal for anxiety. For an individual that doesn’t have problems with anxiety… a potent sativa can sometime induce that state. Anxiety is a rather complicated symptom that everyone might have experienced and dealt with in their own way. When it comes to using marijuana to be a remedy for anxiety, it’s very important to do self-assessment and check how you react. Sometimes the soothing and over-stimulating effects of being high make marijuana a double-edged sword. This is why it is imperative for you to choose the perfect strain and the right dosage to take. How your body and mind react all depends on the different factors such as the way to take it, the content concentrations and the type of strains. In general, it is best to ask your doctor or a specialist before taking anything. Because some may suggest that a strain worked for them but it may have a different effect on you. There are a lot of categories of anxiety so that is another thing that you have to consider. As mentioned, every person has a unique body chemistry. Better start with low doses and prescribed strains. If you know that your body can take the next level dosage, it is up to you to decide considering an expert advice.